In Lebanon, there is renewed gunfire between the Lebanese army and Islamist militants holed up in a Palestinian refugee camp. 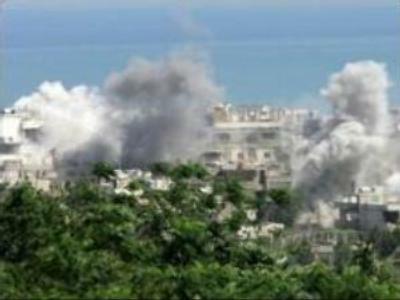 The shelling comes after the Lebanese PM vowed to uproot the Islamic militants battling the army. Overnight, some 16 people were wounded by a bomb blast in the resort town of Aley near the capital Beirut – the third bomb attack since Sunday. Thousands of Palestinian refugees have fled the camp, but many are still trapped inside. At least 50 soldiers and militants have been killed in the clashes at Nahr al-Bared refugee camp.